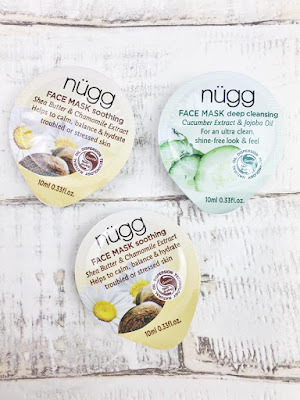 Todays post is a review of the Nügg beauty face masks, I was recently sent these three masks for review and I love them. I was sent two of the Soothing Shea Butter & Chamomile masks and the Deep Cleansing Cucumber Extract and Jojoba Oil mask. These masks retail for $3.29 which I think is such a good price for how amazing these masks are. 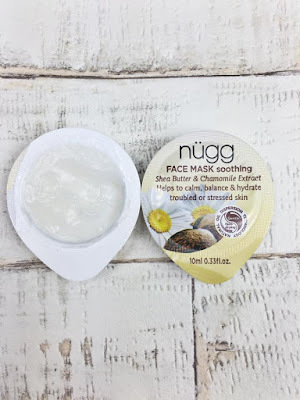 What I really like about these particular masks is they come in little pots which I think is such a handy design as they have the right amount of product for one use. One thing that really bugs me with a lot of the one use sachets is they have way too much product in them which ends up going to waste as I don't like to use leave them open to use another day. 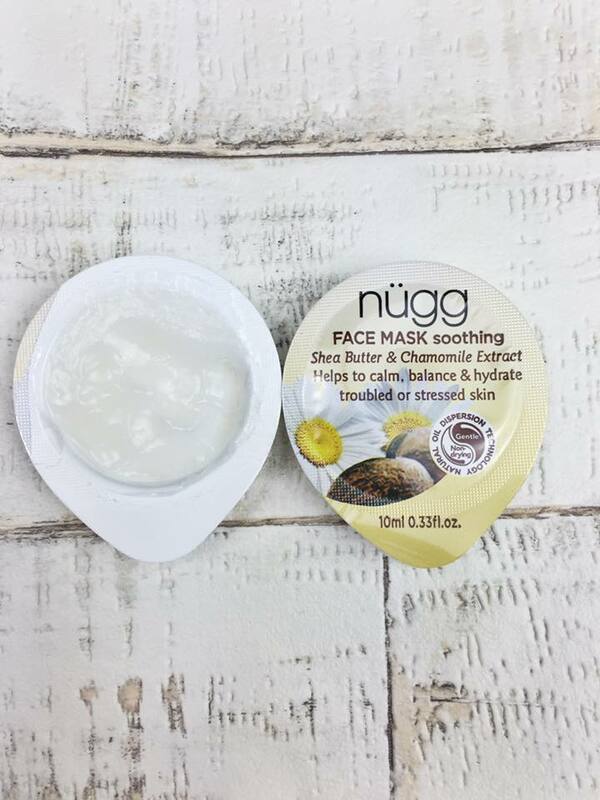 The first mask I chose to use was the Shea Butter and Chamomile, this mask is designed to calm, balance and hydrate troubled or stressed skin. My skin has been really awful recently, I have had a few rather bad breakouts due to stress so this mask couldn't have come at a better time, It applied amazingly and felt so nourishing on my skin. I really like how these masks don't dry so I'm not left with tight leathery feeling skin afterwards. My skin looked much brighter and felt a lot healthier after using this mask. I then used the deep cleansing cucumber mask a few days later and this again applied really nicely and felt refreshing on my skin. After removing the mask my skin was eft feeling so soft and fresh. I am honestly going to be buying more of these and trying some other ones as they have cleared my skin and left it looking and feeling healthy and they are also an amazing price which is a huge bonus! 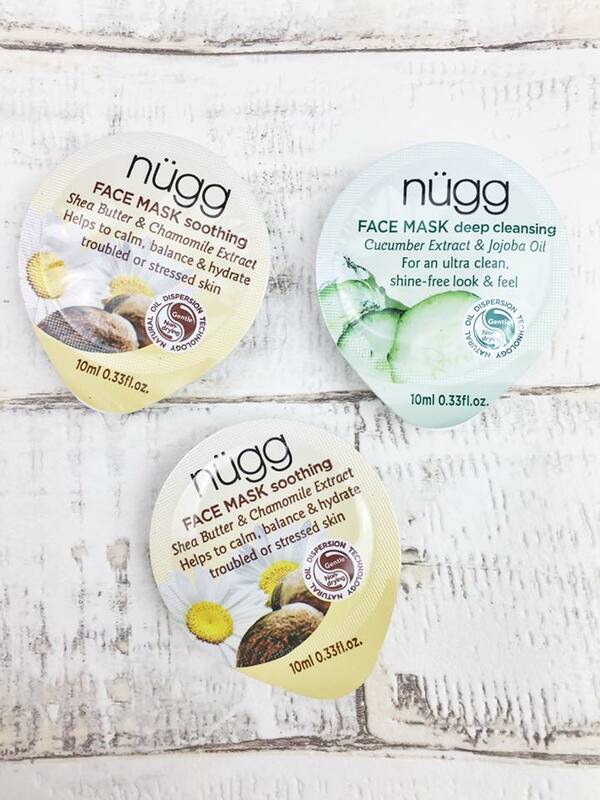 What is your favourite face mask at the moment?